Tulane hosted its second annual “Give Green” campaign on Tuesday, March 19. 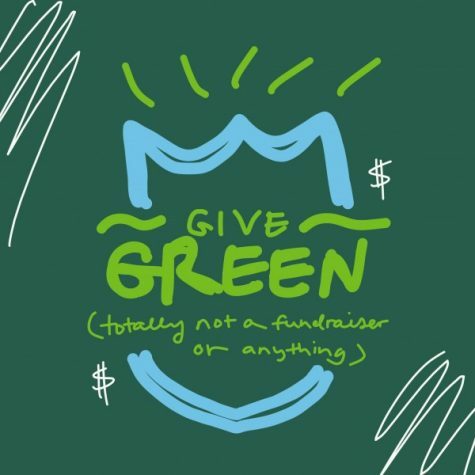 “Give Green: A Day for the Audacious” is a 24-hour event that gives students the opportunity to give money to Tulane University. However, the purpose wasn’t clear for all students. “Give Green” was a day full of treats, games and great photo-ops. Even the least-involved student could grab a donut hole or get glittered. The efforts put into the celebration seemed to pay off. “Give Green” was a certified success. At just halfway through the day, Tulane had raised $139,330 from over a thousand donors. To everyone’s surprise, the day achieved far more than just money. Thousands of young people across the world, particularly in Europe, have been protesting their countries’ unwillingness to take action against climate change. The movement is taking a stand for the Earth that these young people will inherit. They believe it’s up to them to secure their future home. While other students were enjoying snoballs and temporary Tulane tattoos, Hoffman was hard at work. She spent the day reading up on environmental efforts across the world, particularly in progressive countries such as Finland and Sweden. She then researched current infrastructures in less environmentally friendly countries. Synthesizing all the information and forming a solution took some reflection. “I took a walk around Audubon [Park] to think it all over,” Hoffman said. “But then it came to me – the solution for climate change! It’s so simple, we just – hold on, I’m getting a text.” After reading the text, Hoffman appeared indignant. “It says: ‘did u really spend all day in the lib? U know give green was to get money for tulane, right?’ What? But the name … I thought it was about being green. Like, environment green.” Hoffman walked away without another word, muttering under her breath.